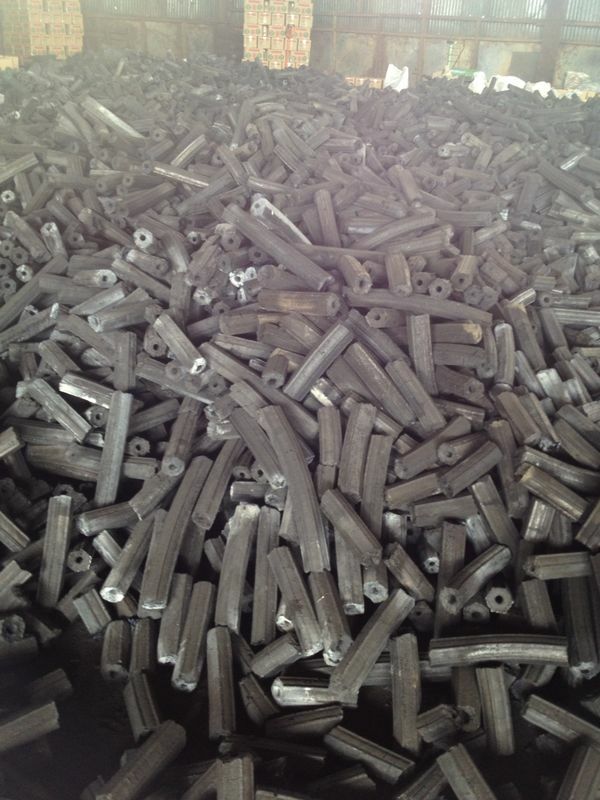 Good quality charcoal will be able to maintain the wooden structure. 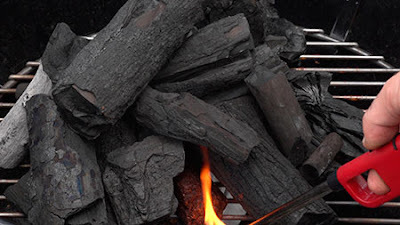 On lump charcoal, particularly in softwoods, circular structure is clearly visible. Good quality should be solid charcoal, black and have little cracks in a circle. The charcoal will produce like a metallic ringing when is dropped. 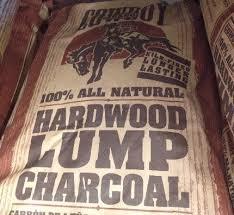 High humidity of the wood to make charcoal quality decreases due to the onset of many cracks. Likewise when experiencing excessive drying timber so that moisture damage wooden structures, the quality of charcoal also decreases namely fragile and a lot of cracks. Besides high-quality charcoal is also easily burn without odor or smoke. Charcoal is also hygroscopic, which easily binds water from the air, especially in the rainy season. 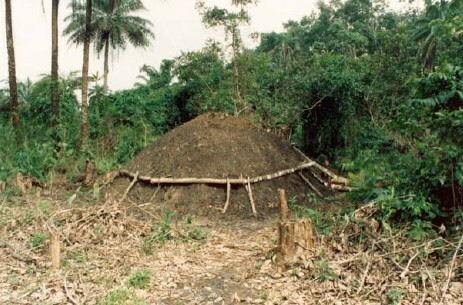 That is why the charcoal must be kept dry or with pallets in roofed room. The other main quality parameters of charcoal is a strength, to reduce the loss of material during the loading - unloading and transportation. Species or type of wood has a significant influence on the strength of such charcoal. For example wood charcoal of tamarindus indica is one of the strongest charcoal and pine charcoal including fragilest charcoal. The most dense charcoal made from tree trunks. Good quality charcoal will burn cleanly and has a calorific value of 13,000 BTU/pound or about 1½ times the weight of dry wood. Low ash levels in the range of 2-3% makes selected for the field of metallurgy and household fuel. Sulfur and phosphorus contents are also very low on charcoal. This further encourages the use of charcoal in the field of metallurgy, but with an inexpensive carbon sources found has shifted the use of charcoal in metallurgy. Charcoal has become an important product for many years and received good market acceptance. The greatest use to fuel domestic cooking and BBQ at the picnic. Saudi Arabia and the Middle East countries in large quantities using charcoal for grilling lamb meat as food is important to them. 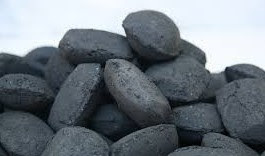 Besides charcoal is also used for the manufacture of carbon disulfide, carbon tetrachloride, sodium cyanide, calcium carbide, silicon carbide, potassium cyanide, carbon monoxide, black powder, plastics, gas adsorbent, crayons, pharmaceutical, poultry - animal feeds and other industrial chemicals. Another great use for the production of activated carbon. Use for other industries are for heating steel (steel, pig iron, foundry molds), nonferrous smelting (copper, brass, nickel, aluminum, manganese electro, armor plate etc) and metal casehardening. Today the use of charcoal for agriculture (soil conditioner) also began much done and especially for increased production in the food sector. A large factory integrative for the recovery of hardwood byproduct recovery plant ever built and operates include carbonization and refining facilities for the production of acetic acid, methanol and charcoal in the form of lumps, briquette and charcoal, such as this photo below. Costs for charcoal production investment is cheap, so it can be done by small and medium industries. But the charcoal business success is not necessarily determined by the cheap cost of the equipment but rather to study the commercial aspects such as source and raw material costs, the availability and cost of labor and market aspects of charcoal produced. Raw materials and labor costs, efficient operations and marketing capabilities are a major factor of success in charcoal production. In the era of the early 1900s charcoal production world experienced its heyday in the production of more than 500 thousand tons. The driving force of the high acid requirement for the production of textiles with charcoal as raw material for production of the acid has been pushing the charcoal industry. 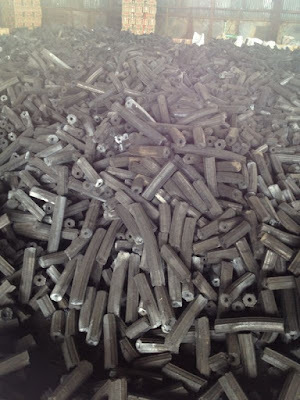 As a result the factory for the production of charcoal and recovery of byproducts to be expensive. In this era of crude liquor obtained from the condensation of volatiles. Crude liquor is then refined into pure acetic acid and methanol. 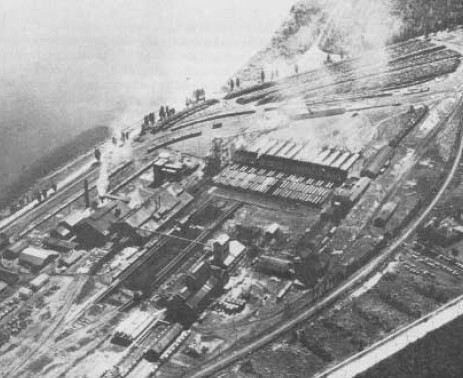 In the years between 1910 and 1940 charcoal production fell to almost half of the era of the early 1900s caused other carbon material replacing charcoal in the manufacture of metals and chemicals. 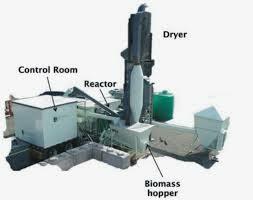 Particularly woody biomass contains mainly hemicellulose, cellulose and lignin. Hemicellulose contribute to the non-condensable gas and a little tar. Hemicellulose begins to decompose at a temperature range of 150 C and decomposes overall above 180 C. Cellulose is mainly contributed to the condensable vapor and begins to decompose at 275 C. Hemicellulose and cellulose is the main source of volatile material. 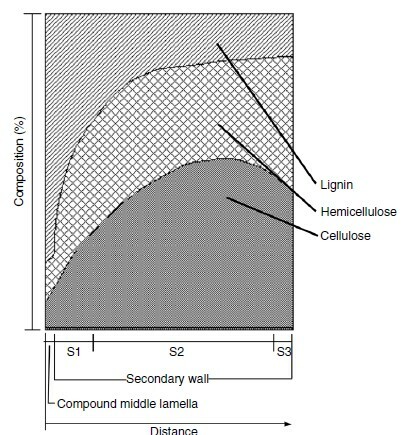 While lignin has a degree of decomposition harder than hemicellulose and celullose. Lignin begins to decompose at 280 C, a peak temperature the range of 350-450 C and has a great contribution to the formation of charcoal and aromatic compounds. 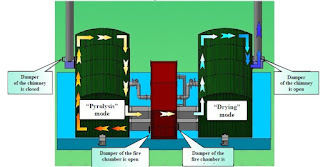 Charcoal production requires a lower heating rate with a long duration and relatively low temperatures, ie 450 C. During pyrolysis or carbonization gas production also varies with changes in temperature. CO2 (carbon dioxide) have high concentrations at low temperatures and decreases with increasing temperature. Hydrocarbon gases will come out at a temperature of 450 C maximum and down above 500 C, after which it begins to form hydrogen gas. Hydrogen itself mainly formed at a temperature of 700-950 C.
Traditional charcoal production process takes a long time up to weeks. Semi-continuous process requires only a relatively short time of their 20 hours, whereas the continuous process even faster. Charcoal production of logs or wood-logs or of wood briquette will match with semi-continuous, while the bulk raw materials will be more suited to a continuous process. 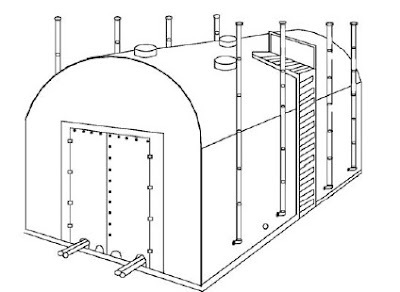 Semi-continuous type kil that use heat supply through the wall and after-burning pyrolysis products, can be used for the production of charcoal. 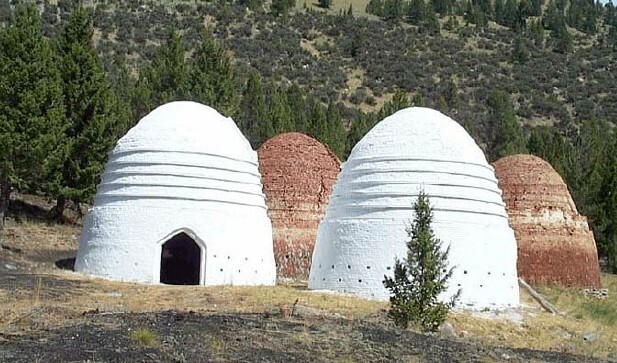 Two chambers were used interchangeably namely the drying mode and pyrolysis mode or carbonization make the process more effectively so they no longer require additional (external) fuel in the carbonization process. 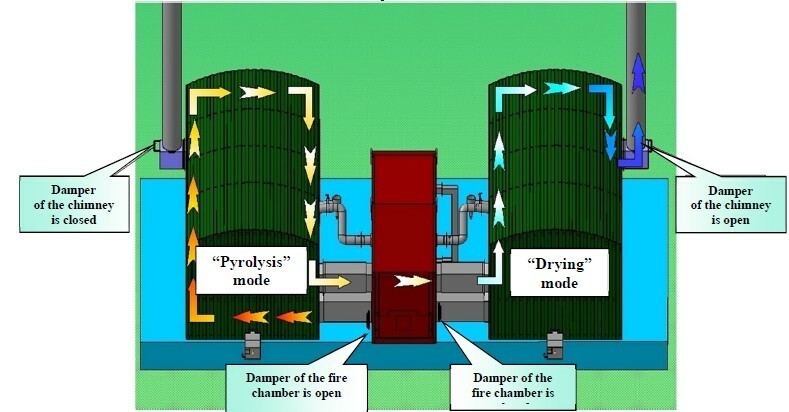 Exothermal heat the pyrolysis process ranges from 1000 to 1150 KJ, making enough (when there is no heat losses) make the pyrolysis process to run without additional (external) fuel. Control of operating conditions that the heating rate, temperature and residence time in the semi-continuous process is also more accurate so that product quality charcoal can be maintained properly.